Any thoughts that SCG knows they’re the only game in town as far as Legacy is concerned? Maybe they’re decreasing demand to get staples cheap through their buylist, then increasing opportunity for Legacy to boost prices and sales again? this was exactly what i thought. reintroduce legacy into the scg tour in a couple years after scooping up a bunch of staples that have gone down in price .. I followed this discussion since modern exists. It’s a very interesting discussion. I remember that a few years ago, when the format started, the lack of support by SCG was the main reason why the format would not succeed. It needed some time to grow, and it did. But I always arguemented that WOTC is going to do all it can to make the format real. And they did. In the end, SCG needs to adapt of course. And they finally did. They do it gradually, that’s clear. My interpretation was that SCG needs to sell out all the legacy stuff they bought up (the one causing the price boom). The gradual change to modern is good to prevent a bubble burst of the legacy price. I do think the prices will go down, eventually, but not a complete crash. In the end, legacy will always exist, but it’s not really suited for new players. It’s for the magic veterans. And every year it’s getting harder, so for me it’s already dead. I can’t even convince the modern players locally to play modern, but it works the other way (legacy players play modern). It’ll always be around for sure, but will the prices stick? I think so. Honestly, the power level of the cards there are completely different than the power level of cards in the Modern era, or even the new evolving Standard. Could you imagine how much a Butcher of the Horde would sell for in June 1994, if it were a real card then? More than Juzam Djinn did almost for sure, despite being 3 colors. Point here is, I can see vintage/legacy turning into a “block constructed” similar to 93/94, with other variants, like Alpha through the Dark (including reprints), maybe a “legacy extended” that includes only 3rd or 4th edition through the end of the old border. And a “legacy vintage” or something that includes anything with the old border. Cards of that era have similar power levels, and belong with eachother. By restricting the sets, you can prevent some of the horrible things people can do in Legacy that just explodes perfectly good games. Great article. I’m surprised you didn’t bring up one other point that is probably driving the focus of SCG away from Legacy and towards Modern: Profit! I’d be willing to bet that SCG makes far more money selling Modern cards than they do Legacy. So why not push the products that bring them the most profit? Sure, they may sell a Volcanic Island for $300, but how many do they really sell in a week and what is their profit margin? Are they selling more Steam Vents at a larger margin and in larger quantities? I’d be willing to bet “Yes”. At the end of the day they are a business and money talks. Yes, very good point. Legacy cards are low volume movers. How long before sets start to rotate out of modern? maybe that will help legacy grow. 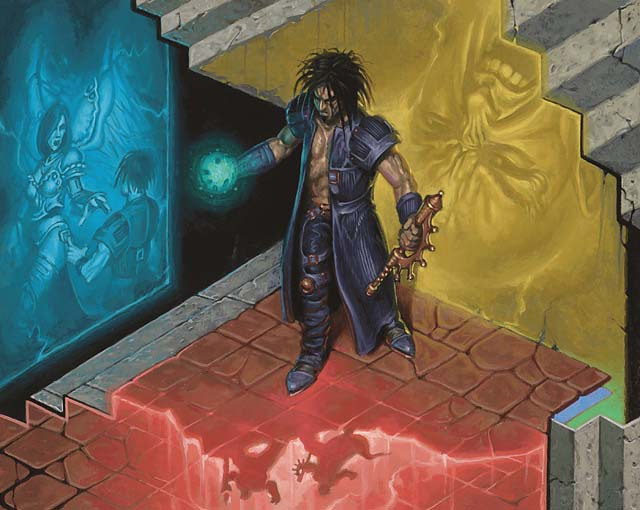 8th edition was release in 2003 and is over 12 years old, how much longer can that really be considered modern? Modern is the name of the format, but not necessarily the spirit. 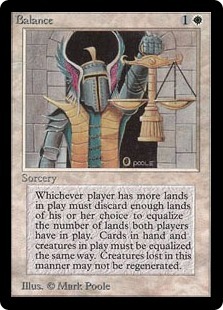 It’s defined as all standard-legal sets printed since the “modern” frame debuted in 8th/Mirrodin. There is no intention for any entire set to rotate out of legality. That’s irrelevant. If cards from “old” sets in modern become sparse due to their age, they get reprinted. That’s the point of modern. So if Legacy might go down the path of vintage, what does that mean for prices? As vintage waned in popularity, did the price level for the cards drop? 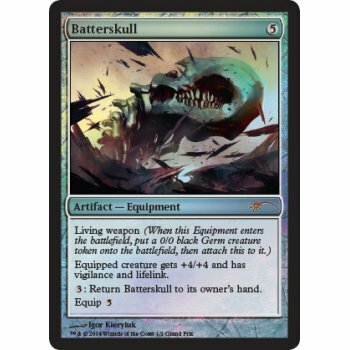 Power has increased in price, but what about “staples” for vintage? (I’m honestly asking here, because I do not know). I think the true “staples” – Force, Wasteland, obviously duals, will hold up okay. But everything else that relies on Legacy being played competitive will start to fall off, or at the least, never grow. 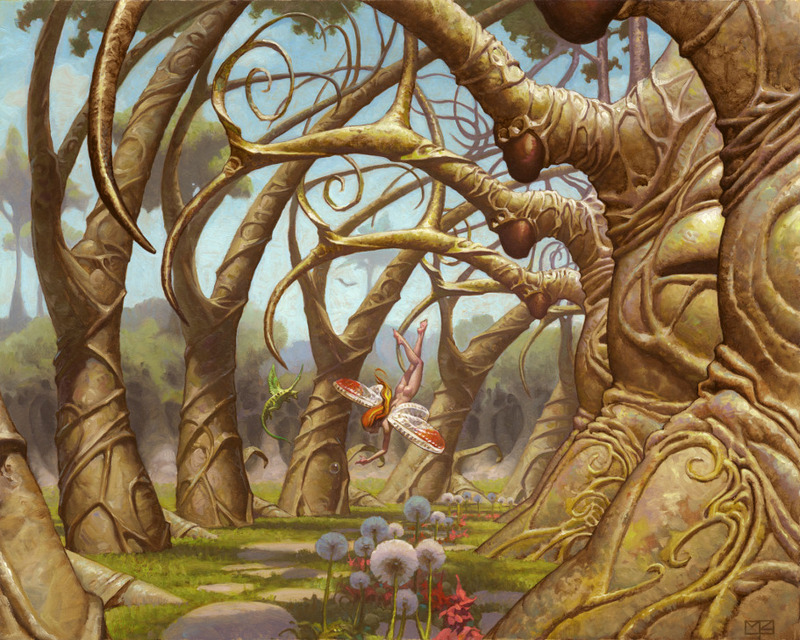 Think stuff like Glimpse of Nature – important in a competitive deck but useless elsewhere. I don’t see a bright future for stuff like that. I played 10 proxy Vintage about 8 years ago, and it was right as the Legacy boom happened. So first, Vintage wasn’t exactly cheap: power was expensive then, and it is now, but that’s because collectors love their power as much as everyone. Workshops was in that camp as well. If it was a card that wasn’t those handful of old collectible cards, it was relatively cheap (Force, for example, was 30$). You tended to round out your check with really cheap effects and commons no other format cared about – Oath of Druids is a rare old card, but it saw play in only vintage, so was about 6$. Tinker saw play in only vintage, so it was super cheap. When the Legacy boom happened, if the card saw play in Legacy in skyrocketed. In six months the price of duals / wasteland doubled. And that upward pressure kept going up. Meanwhile things that were old and defined archetypes in vintage — barring the alpha-beta-unlimited cards that appeal to collectors — stayed cheap. Look at how cheap skullclamp STILL is. It’s banned in legacy, but that card is a house in Vintage. Is it a house enough to drive the price up at all? Nope. Good article. As far as events go. WOTC and star city have done well supporting it. The ladder of the two obviously doing a lot less of that now. 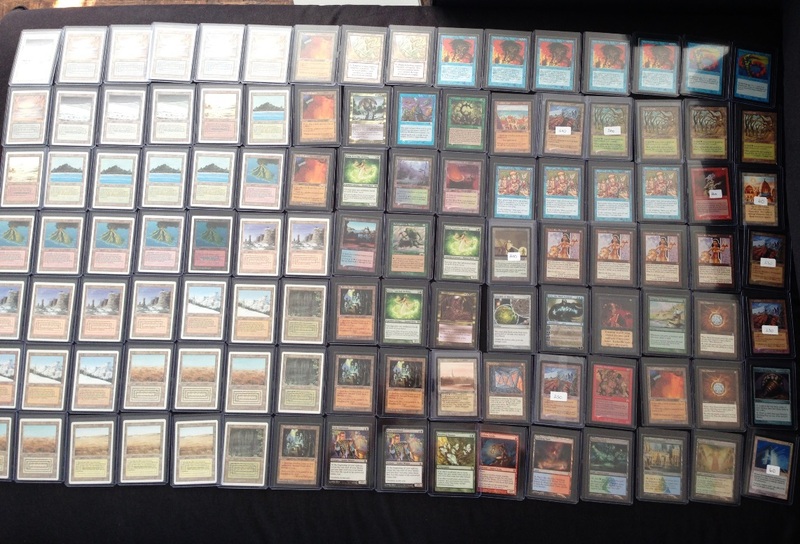 The issue with legacy is, while I think it is an insanely fun format, the prices to play nearly any legacy deck is far more than the majority of players can afford to, or are willing to lay in order to play. I am not saying that Modern is cheap either, but no one can argue the less expensive choice of the two. With Modern masters 1 and 2 the prices of many modern cards dropped thanks to those reprint sets being released by wizarfs, and made Modern a much more accessible Format. You can’t do that with legacy. 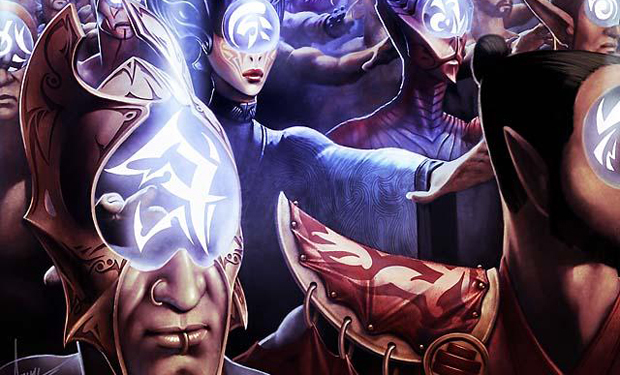 Legacy isn’t dead but nothing is being really done to attract players into the format itself. I won’t argue the making it more cost effective, because that is nearly impossible. While I do live Legacy as a format, and certainly hope it continues to do well. Based on all these factors, in my opinion it is in some turbulence and will fe some struggling. This is one of the reason why I respect your articles and opinion. Your humble approach and lack of grandiose claims allows the reader to form an opinion, as opposed to you repeating one several times and then claiming it to be true. Keep up the journalistic approach. Impressive article. And yeah I remember getting dusted by UB Merfolk. Saito had come prepared to beat Zoo, which was Folk’s biggest weakness at the time, and he turned to cards like Perish and Submerge to shore up that matchup, which were really strong against my Noble Hierarch deck. I chewed through a few other Folk players that weekend, but he had my number twice (once in the swiss once in the T8). Also, don’t underestimate the power of slapping your face hard before the game begins to focus your power of attention beyond those of your opponent. I don’t fully agree on the point about the reserved list and the agony of legacy because of the limited number of staples. While it is true that the argument is old, and that the legacy community has actually grown in the past years, the argument is still valid. What you have to take into account is the time frame. Legacy will not fade away in one year, but applying market concepts and you own arguments, the prices go up, people still buy, then there is a sort or relaxation in the prices. This can only mean that the demand has lowered or the supply has increased. However, the supply cannot increase for ever. Eventually there will not be enough copies to sustain a low price, therefore prices will go up again and possibly demand will decreasse arriving to a new plaeau. But the problem is that this dynamics cannot be sustained in the long term because supply will not be able to put more copies there. This will lead to a permanent increase in prices where the player number will not increase, but decrease, without lowering the prices. What eventually will mean that accessing the format will be actually impossible. The point is, again, the time frame. Will this happen in 4 years? I don’t think so. Will it start to happen in 10? Maybe. But without a solution in time it wil, and with the reserved list locking fresh supply as you mention, this will be the new vintage. Excellent article, I really appreciate all the depth and hard work you put into it. I’m personally down on Legacy because of the Cruise and then Dig bannings as I was one of many UR delver players. Why did I and a lot of my friends play UR delver?? Because at the time the only cards worth a lot of money in the deck were Force and Volcanic Island. Now that deck is dead and I’ve jokingly said to people that the deck wasn’t expensive enough and Legacy players wanted it banned cause it destroyed their $4000 decks. So I kinda think Legacy is on a bit of decline anyways cause the format has gone back to being stale. I find it interesting Dig was just banned for a format that Wizards and SCG seem to no longer care much about. Who cares about keeping a format “fair” if no one wants to enter it or play it? I can truly say if it wasn’t for UR delver’s success I’d have never gotten into Legacy. While technically one Legacy deck might equal the same cost as 4 Standard decks in successive seasons, it’s just SO MUCH at one moment to start a format, probably with a sub-optimal deck, and without the experience to win with the deck. Emotionally it’s hard to enter a format where one game you might play miracles, another high tide, another storm, RUG delver, and then you are finally excited to play against a “fair” shardless BUG deck. So initial cost is a HUGE deterrent. in any case, Wasteland should not be a problem as long as Wizards still want to support the format. If it becomes too expensive, they only need to reprint it: it is not in the reserved list. Except that Magic is really nothing more than a form of fiduciary media and a fiduciary medium that continues to just “grow” does die. It’s called inflation. SCG can not support it all they want. There is a market for tournaments and like this article pointed out Legacy players are players with deep pockets so another party will probably pick up the check. Let Card Titan run them. Eternal Weekends is par excellence. 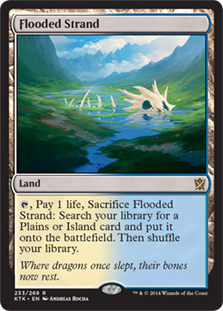 Should we be selling our revised dual lands? The conversation I am seeing Legacy players have right now is literally the identical conversation I heard Vintage players have about 10 years ago. They croon about how their format is the best FORMAT EVAR. Some very loud players don’t seem to acknowledge that price is a barrier (Seriously. Price is a barrier. Yes, standard top-end decks are 700$. If you played standard regularly, you might have won some of those cards with store credit. Even so, 700$ *gets you an entire, complete deck*. That’s simply not true with Legacy.). What happened? The format faded. It is a niche’ hobby – and there is, admittedly, pockets of an active vintage scene. The fact of the matter is that the format is fading. It won’t die out – certainly. The cards will still retain a lot of their value, because collectors love that and price memory is very strong. There might even still be huge events. But GP SeaTac just happened and you had a little over 2,000 people show up. That’s not a trivial result, but a modern event two years ago drew twice that amount. Legacy might be a draw, but you’re not going to get those 5,000 people GPs.